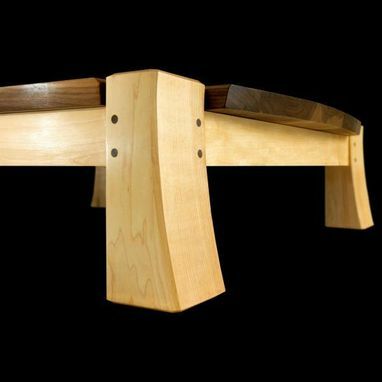 At their request, I designed and built three Zabuton Benches for the Barre Center for Buddhist Studies. They each reside in the small cottages adjacent to the forest, and are slightly larger than a zabuton cushion. The intention was to provide meditators with just enough height to bring the forest into view through the cottage windows. 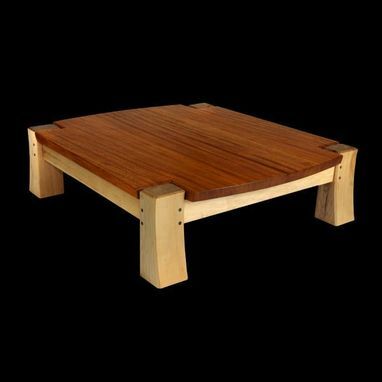 The bases are all made from hard maple, but each has a top crafted from a different hardwood species (walnut, cherry, and mahogany). 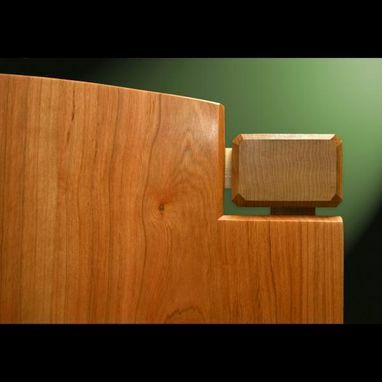 For maximum strength, the aprons are joined to the legs via mitered tenons, and held in place with 3-inch walnut pegs. A small gap between the top and the legs adds visual interest, while allowing the top to expand and contract with seasonal changes in humidity. The finish is a hand-rubbed oil/urethane mixture, followed by a coat of bees' wax.